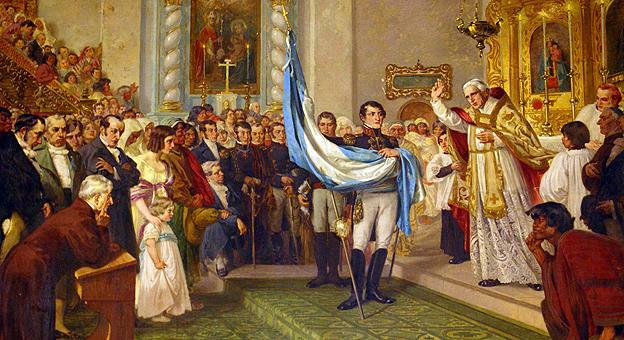 The national flag of Argentina was created in 1812 by Manuel Belgrano. It has three horizontal bands in light blue, white and light blue; and a yellow sun in the center. Flag of Argentina Facts for Kids. Kiddle Encyclopedia.